This is a sponsored post written by me on behalf of Kidde. Additionally, I was given a smoke alarm to test for review. All opinions are my own. One of my biggest fears growing up was becoming trapped inside my bedroom during a fire in my home and being unable to get out. A scenario that I always pictured was this great big, blazing fire down the hallways of our house that would prevent me from running to my dad. I even remember thinking about some big beams from the roof up in flames falling down to block my path to his room. I remember learning at school all about fire safety and how to protect myself. I guess hearing about fires so much in the classroom led me to imagine a scary situation like being cornered in a fire. I’m sure all moms have had these thoughts from time to time. That’s why it’s important to think about keeping your family safe from fire in your home with functioning smoke alarms. Smoke alarms are essential to becoming aware of a fire in your home before it gets too big. 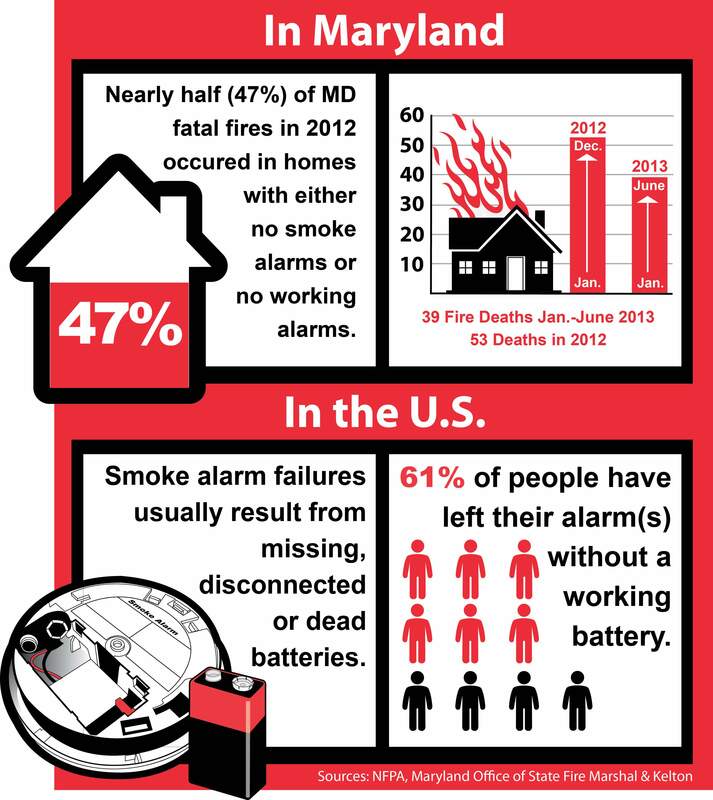 Luckily, approximately 96% of homes in the U.S. have smoke alarms installed, however, about 20% of those alarms are not functioning correctly, due to dead or missing batteries. Some homeowners with older houses have not changed their smoke alarms, even though they are not operational. When my husband and I purchased our home a few years ago, we discovered that the smoke alarms were original to the house, which was 25 years old! With a 3 year-old and a newborn, we insisted that the homeowner purchase and install new smoke alarms in our sales contract. We just didn’t feel comfortable buying a house in which the smoke detectors were that old and possibly not functioning correctly. Just this summer, a new law took effect in the state of Maryland, which states that homes with battery-powered smoke alarms older than 10 years must update to long-life sealed-in battery smoke alarms, and that smoke alarms be installed in sleeping areas. I think this is a really good idea! With the requirement to install new smoke alarms, thousands of previously unprotected people will now be safe from fires in their homes. But the best part of the new law is the sealed-in battery alarm…what a great innovation! Let’s face it…we all hate changing the batteries in our smoke detectors, am I right? Traditional smoke-alarm batteries always seem to die in the middle of the night, waking us up with that annoying chirping sound on the one night that the baby finally decides to sleep through the night. 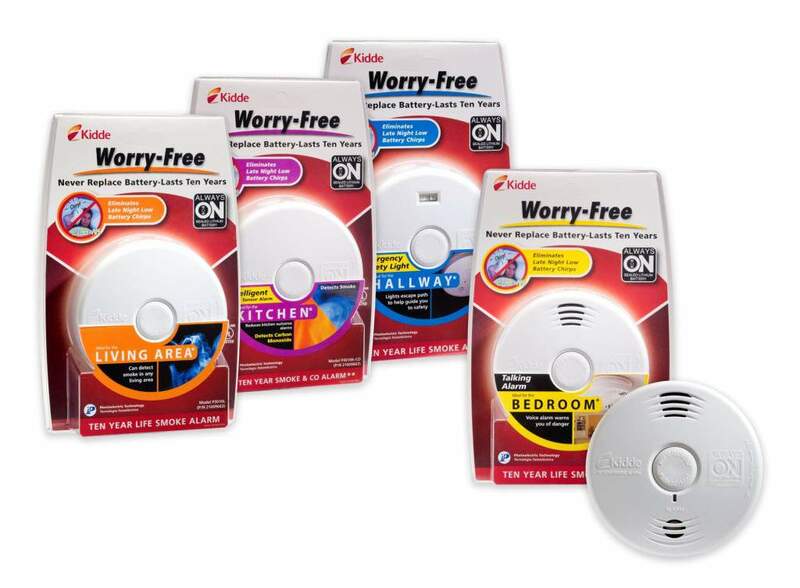 Kidde, the world’s largest manufacturer of residential fire safety products, has a new line of long-life sealed-in battery smoke alarms that comply with Maryland’s new law. I received a bedroom alarm to review in our home, and I have to say, it was very simple to install. I asked my husband to install it for me, thinking it would be complicated, but it took him literally seconds to put it up. There is a simple anchor that screws directly into the ceiling. Once you have that in place, you just twist the smoke alarm onto the anchor until it beeps. Easy! These new alarms are on 24/7, and there are no batteries to change. The alarm is pretty much maintenance-free for 10 years, which saves moms time, money and worry. 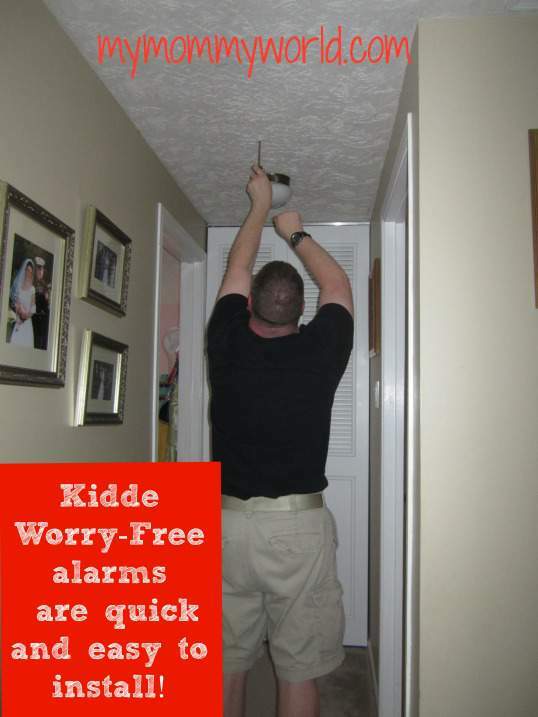 Kidde has alarms specifically made for each area of your home, such as the kitchen and hallway. I love that the kitchen alarm is smart enough to detect smoke from a real fire rather than from something cooking on the stove (I’ve set off my kitchen smoke alarm more than I care to admit!). A Surprise for Maryland Readers! 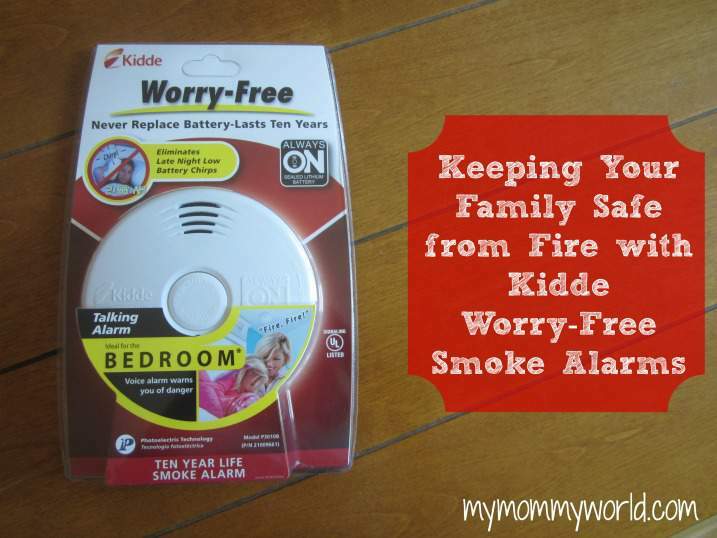 Kidde has graciously offered to give away one of their Worry-Free smoke alarms to one special My Mommy World reader who is a resident of the state of Maryland! 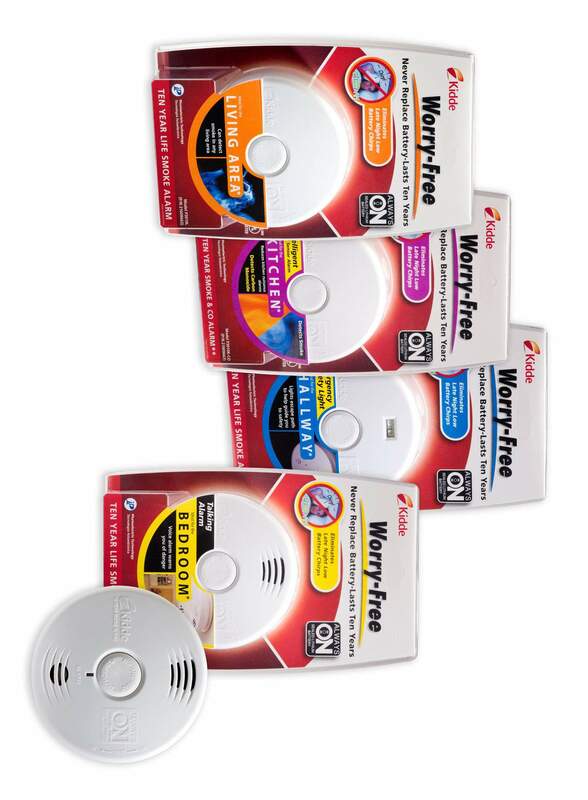 If you are interested in purchasing your own Kidde Worry-Free smoke alarm, they are available at home improvement retailers, such as Home Depot, and cost between $25 and $50. You can also find out more information at worryfreealarm.com. Erin, we have two kinds of smoke detectors in our home. One that is hard wired on a battery backup and another one like the one you reviewed. We recently purchased a new one with a sealed battery and it can detect smoke/fire and carbon monoxide too. Since we have a wood burning stove we use as heat I think it’s good to have a newer type smoke detector.